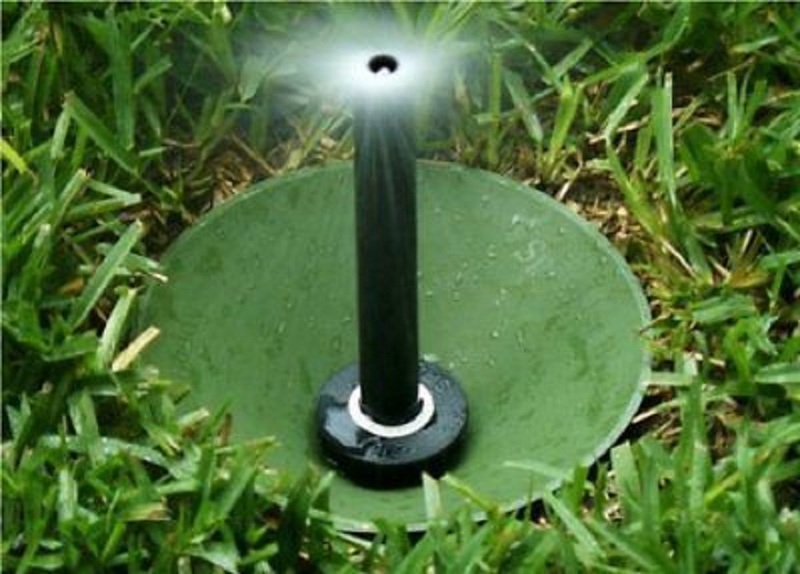 Sprinkler Buddy - Sprinkler donuts, Sprinkler Guards for lawn sprinkler heads. "Keeps Sprinklers Visible, Rotors and Spray Heads"
We Ship with: USPS "Priority Mail" Fast & FREE Shipping! Has a 7" Outer Diameter, made from a Flexible material. 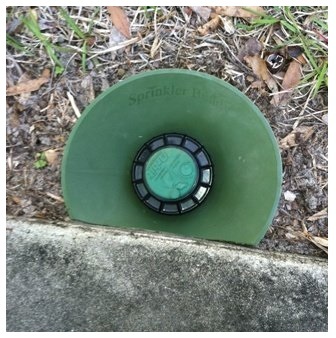 "You Cut to the Perfect Fit Every Time"
Sprinkler Buddy doesn't crack or sink like concrete sprinkler donuts. Invented by a FL lawn care professional. Click on the bar below to select the quantity needed, then add to cart. 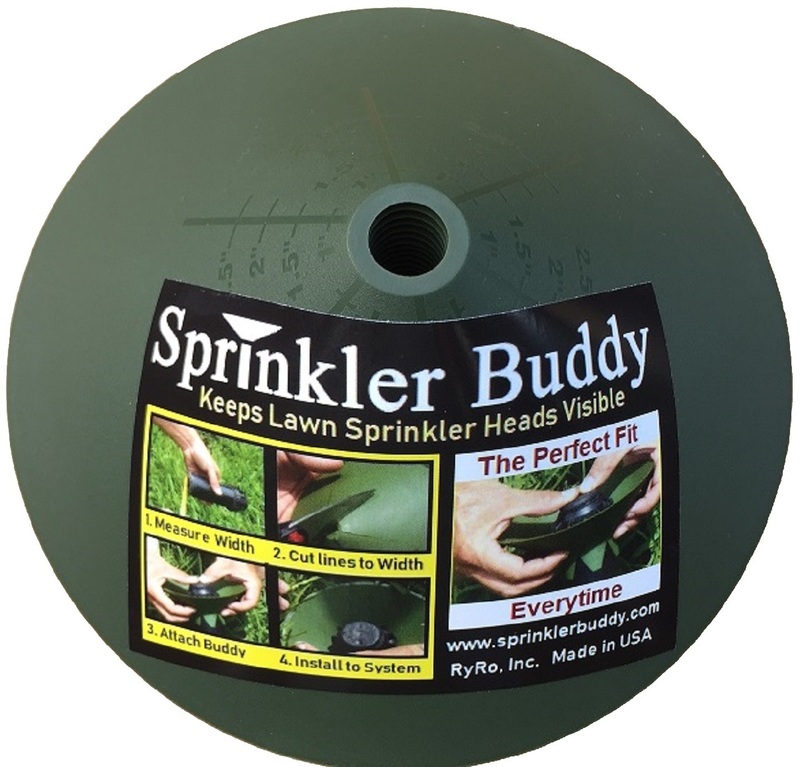 Sprinkler Buddy is long lasting, in all weather conditions. Protects sprinkler heads by keeping them visible. Doesn't crack, sink, or chip like concrete sprinkler donuts. Doesn't get dislodged or float away like similar plastic sprinkler donuts. By LAW - Sales Tax is collected and sent to Uncle Sam on all Florida orders. 1. MEASURE the shaft width of the sprinkler head to be installed using a ruler or measuring tape. 2. CUT all six vertical lines on the Sprinkler Buddy, with scissors, to the pre-measured width that was determined in step one. 3. INSERT the sprinkler head shaft through the hole on the inside of the Sprinkler Buddy. This will open the retaining tabs you created in step 2. The Sprinkler Buddy should be pulled up to the collar of your sprinkler head. 4. 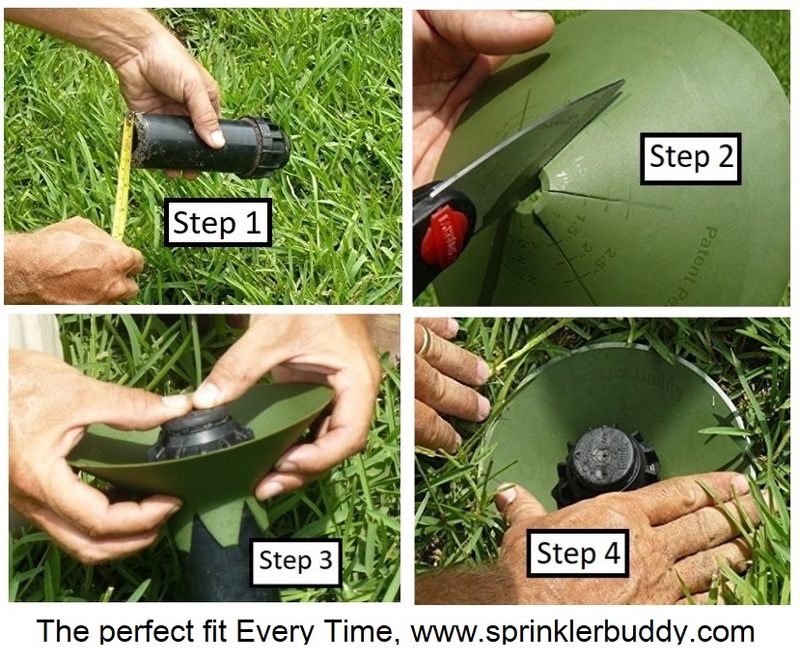 INSTALL the sprinkler head, with the Sprinkler Buddy attached, back to your sprinkler system. Photos below show the written steps above. As the lawn care professional and inventor of Sprinkler Buddy, Thank You for your business! Have a ?? ?, don't hesitate to ask by hitting the Contact icon at the top of this page.